And Eric Carle Preschool Theme could last all year long! 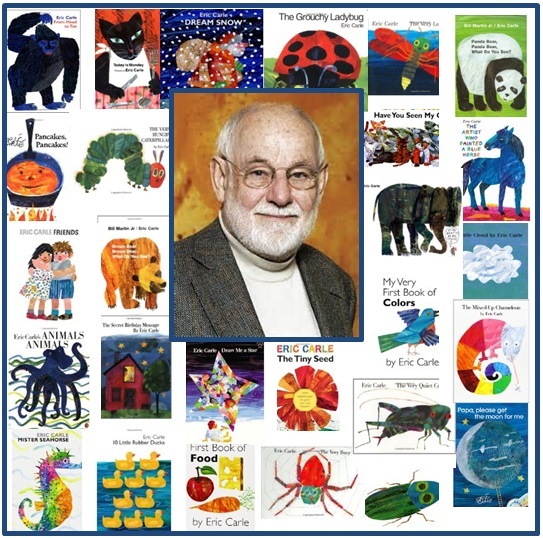 Eric Carle is pretty much a preschool and household name when it comes to children's books! Eric Carle's most famous book was published in 1969. Can you guess what it is? You will find the answer on this page! In addition to this famous book, he has illustrated more than 70 books. Most of these books Eric Carle authored as well! 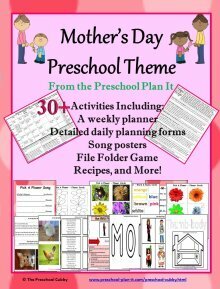 Choose some of your favorites for this week, 2-week or month long preschool theme! Let the Eric Carle Preschool Theme planning begin! I have tried to include activities to go along with many of Eric Carle's books. There are just so many (over 50 in still in print right now!) to choose from! I may have to add more later! 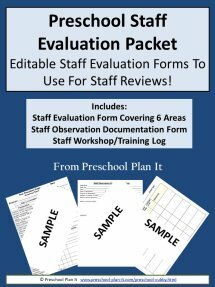 You can either scroll down through this page to see all of the preschool activities for your theme or click the link below to go to specific preschool lesson plans and activity types you are looking for. Here is Trivia Question #2 for you! Eric Carle had created a red lobster for an advertisement he was hired to do. A famous author saw the advertisement, loved it! This author contacted Mr. Carle and asked him to illustrate a new book he had written. Do you know who this famous author was? Eric Carle's use of water color and collage are pretty amazing! Get creative and see what items your preschoolers' can use to create with! Materials Needed: tissue paper, watered-down white glue, white construction paper. The children create their own collage with the tissue paper. I find it easier if the children "paint" the glue on their paper first and then place the tissue paper. VARIATION: Place small pieces of tissue paper into a tray, bin cover or cookie sheet. After reading The Grouchy Ladybug book, let the children make their own Ladybugs! Materials Needed: White paper (either precut into circles or encourage the children to cut their own circle as best they can!) or paper plates; googly eyes, bingo daubers. The children cut their circle and then paint it with red paint. They use the daubbers to put black dots on the lady bug and then glue on googly eyes. After reading Little Cloud , follow up with these fun ideas for cloud art! This is a variation on the puffy paint. Place shaving cream and glue in many bowls. Add a different color to each bowl and mix. The children create different colors of clouds to represent sunsets or sunrises! Just squirt shaving cream on your tables and let the children create clouds and experience the feel of the shaving cream. After reading Papa, Please Get the Moon for Me (This one is the book and CD!) , provide materials for the children to make their own moons! Just let the children use paint to create their own moon and ladder to reach the moon! Provide playdough in different colors for the children to create the moon and create ladders or other scenes from the story. You can also provide playdough tools to use including moon and star shaped cookie cutters! Here is my favorite, new type of dough to make! After reading the story The Lamb and the Butterfly , provide areas for the children to make these cute lambs and butterflies! Provide the children with white, blue, gray and pink tissue paper to create their own lamb collage (don't forget the googly eyes!). Have the chilren color (completely) a coffee filter using large, washable markers. Have them spray the coffee filter with water (it creates a cool tye-dye effect!). Clip the middle of the filters with a clothespin. Have the children draw eyes on the clip. For more butterfly ideas, you can check out my Caterpillars and Butterflies Theme page by clicking here! In my research I came across some great puzzles for this theme! You can read more about them by clicking the pictures below! Which famous book did Eric Carle write and illustrate in 1969? Whenever you do an author theme, talk with the children about what, exactly, an author is and what an illustrator is! Eric Carle was BOTH! Sometimes he authored and illustrated books, sometimes he only illustrated books! When done with the cooperative story, put it together in a class book. This book will become the hit at Circle Time and in the Library. EXTENSION: I recommend getting colored copies of the book made so each child has a copy to take home at the end of your unit! Take time during this unit to read two or more of Eric Carle's books during Circle Time. You might choose books that are related in theme (such as The Grouchy Ladybug and The Very Busy Spider.....both critters!) or that are related in the same type look with regard to the illustrations. Point those things out to the children. 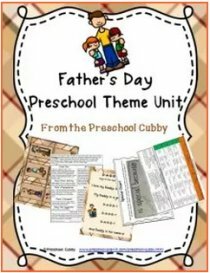 There are many items available to use at Circle Time for this theme that can also be used throughout the year! Click the pictures below to read more about a few of my favorites! Snack Recipe Ideas to Cook Up for Your Eric Carle Preschool Theme! After reading Pancakes, Pancakes! , make some! Lead the children in helping to make some pancake mix. As an adult cooks the pancakes, have the children help to cut up some fresh fruit. Have pancakes topped with fruit and whipped cream or syrup! Yum! Make homemade butter with the children as another adult cooks the pancakes! Pour some whipping cream into a clean, baby food jar. Cover and shake! (It takes about 5 minutes! Have the kids take turns shaking and counting to 10!). Pour off the excess liquid. Add a pinch of salt. Set up a Bread Bistro Bakery in your dramatic play area during your Eric Carle Preschool Theme! This will compliment the stories Walter the Baker and Pancakes, Pancakes! 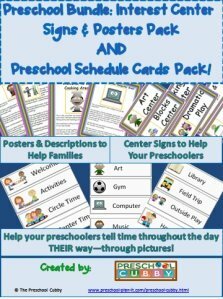 I have a FREE resource packet that has signs, menus and order forms for your preschoolers to use! Click here and choose the FREE BREAD RESOURCE PACK from the page! Children LOVE celebrating birthdays! After reading the stories The Secret Birthday Message and Hello, Red Fox , set up a birthday party enviroment in Dramatic Play! Set up your area with birthday crowns, pretend cake, games and don't forget to invite Mama and Little Frog, Red Fox, Orange Cat and the other characters to the party by providing stuffed animals! For more ideas for this, check out my Birthday Theme page by clicking here! After reading The Mixed-Up Chameleon , let the children experiment with color! Provide tempera paint and a bingo daubber with black paint in it. Let the children create their own chameleon and then use the daubbers to make its eyes! After reading The Mountain That Loved a Bird , encouarge the children to create mountains! Provide different shades of blue, black, gray and white watercolor paint. Encourage the children to make their own mountain. Use spatial words as they use their muscles, "Up to the top of the mountain. Down to the bottom. The bird can fly over the mountain." Etc. After reading Draw Me a Star , provide stars to paint! You can either predraw stars on the paper or--and this is my preference---create (in advance) large star stencils. Have the children trace them onto the easel paper and cut out (the more practice they have with these skills the better!). Then have them paint their stars at the easel using tempera or watercolor paint! VARIATION: Provide glue for the children to paint on their paper and a cup of tissue paper (variety of colors) for them to stick on. It's great to do this at the easel rather than the art table for a change! Encourage them to paint the entire paper first (or give them glue sticks). We have a new perspective about art from standing up! Eric Carle Preschool Theme Large Group Games to Help Your Preschoolers Build Their Muscles While They Have Fun Together! Provide buckets of water and brushes for the children to paint the sidewalk, or your building (if it is brick) with! It's awesome to see the designs and then see them evaporate! Play duck, duck goose using the words Caterpillar, Caterpillar, Butterfly instead! Include props and furniture (such as going under and around chairs) for the children to go on a hunt for a surprise! If you don't have a crawl tunnel, I HIGHLY recommend that you invest in one! You will use it ALL YEAR LONG for gross motor development! You can use them as a way for the children to come into the classroom once in a while for a fun surprise. Use them for some indoor play time on inclement weather days. There are so many uses! I use the first one (on the left). Here are just a few choices from Amazon. They range in size and price. My favorite is the first one (on the left) and it has been used for YEARS! Click on any of the pictures to read about each one! Hide many different types of stuffed animal or toy cats outside. As the children find them, they can sort them by type of cat! Throughout this Eric Carle Preschool Theme page, you will find at least 40 of Eric Carle's books referenced by me! However, there are SO many more! Here are some books I have not referenced that would be great to have available in your Preschool Library for this theme all by Eric Carle! CLICK HERE for a list of Eric Carle books from Amazon where you can read about each book and see what they have to offer for those books you'd prefer to purchase than borrow from the library! seven stories by hans christian anderson . These are stories as retold and illustrated by Eric Carle. Eric Carle Preschool Theme Activities to Help Your Preschoolers Develop Their Math Skills and Those Small Muscles in Their Hands! Of course, an Eric Carle Preschool Theme would not be complete without an activity or two to follow up with The Very Hungry Caterpillar book! Provide a few bowls of pom poms. Encourage the children to create caterpillar bodies from them. Encourage the children to create colored patterns. Encourage children to create caterpillars using a specific number of pom poms. You could create number cards and place them in a pile face down. They choose one card and create a caterpillar using that number of pom poms. After reading 1, 2, 3 to the Zoo and Rooster's Off to See the World , create some animal games! In advance, find zoo animals and farm animals (as listed in the stories) from magazines or online. Print and laminate them (make some duplicates). Provide the book and have the children find the animals as they "read" the story to themselves in small groups! Here are some of my favorites to have in the classroom! Click on the pictures to read more about them! After reading Does a Kangaroo Have a Mother, Too? , encourage more comparing and matching of mothers and babies in nature! In advance, make color copies, cut out and laminate pictures of the mothers and babies from the stories. The children can use these to play a matching game. You can also play a game with them. Hide the Mother animal cards throughout the room. Place the baby cards on a table. Each child hunts for ONE card. When they find it, they bring it back to the table and match it with its baby. EXTENSION: Make enough cards for each child to have a pair of each mother/baby animal. Create bingo type cards with all of the animals on them. When you show a card, they match it to thier board. 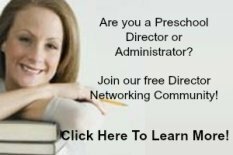 Eric Carle Preschool Theme Music and Movement Activities and Ideas to Get Your Preschoolers Movin' and Groovin'! After looking at and discussing I See a Song , have the children act out each page! This is a wordless book! Your children will observe and then act out the items from the story such as a leaf, a bow, a "many-colored figure", the violinist and more! After reading the story Today Is Monday , sing the song with the children. Add the food props from the story using pretend food for the children to hold and use! Read From Head to Toe with the children and talk about the things the animals do in the story. Have a child make up a movement and then have the other children copy it! Freeze dance with the children! They dance when the music is on and freezes when you pause a music CD! Eric Carle Preschool Theme Activities For Your Sand and Water Table! Have you ever microwaved soap? I highly recommend that you stock up on Ivory Soap (the original type) because after you do this ONCE, it will be your favorite new science activity! I have seen many videos and think.......wow, how cool! But until writing this theme, had never tried it myself! IT IS AWESOME! Make this for your Sand and Water Table! NOTE: This ONLY works with Ivory Soap! You can then add some water (use warm water) and toilet paper to the above microwaved soap and smoosh it all together for clean mud! 3 Bars of Soap: Add 1-2 rolls of toilet paper. For water, just add a little bit at a time until the texture is very soft and squishy, like mud (only cleaner!). Help the children become bakers after reading Walter the Baker ! Provide cornstarch and water. Let the children scoop spoonfuls of each into the table and mix. This makes goop. It is hard once mixed but when they hold it in their hands, their body warmth "melts" it between their fingers! After reading Do You Want to Be My Friend? (This one is the board book , hide animals in your sand table for the children to find and identify! After reading The Hole in the Dike , do some boat float activities! Provide different types of boats: plastic, some made from craft sticks, aluminum foil boats (some with holes!) and see what happens when there is a hole! In addition, provide strainers, water wheels and more for fun water play. VARIATION: Provide sand and sticks, pipettes, water spray bottles, etc. Let the children wet the sand and make rivers in the sand, create sand castles, try to create a wall that doesn't leak, etc. AFter reading The Very Lonely Firefly , provide some fun discovery jars! Make a few discovery jars or bottles made with water and place glow sticks in them. Seal the jars. Provide flashlights and a nighttimme space, such as a small tent or blanket fort for the children to see them glow in! Make some fairy jars. I must admit, I have NOT tried this yet, but it looks fun! And of course, make lots and lots of discovery bottles! Fill bottles with grass and play/toy fireflies and other bugs or insects. Fill bottles with colored water (2/3 full) and vegetable oil (almost to top....leave some room at the top of the bottle for air). Move it slowly back and forth for waves. Make another like the one above but add some sand. Shake it up and watch as the sand, water and oil slowly separate into layers again! This is a great follow up to 10 Little Rubber Ducks ! Place rubber ducks in your water table to float around. For math or letter fun, in advance, print numbers or letters on the bottoms of each duck with a sharpie. (Make 2 of each number or letter). The children can now play a floating, matching game! Eric Carle Preschool Theme Science Activities--For Your Preschool Scientists in Training! After reading The Grouchy Ladybug , observe some live ladybugs in your classroom! I LOVE the ones below......just keep in mind, they will be a bit dormant when you receive them. I, being the city girl that I am, thought most of them arrived "dead". It was sad. I placed the ones who did not survive the trip outside. Let's just say that when we went out to play later, I thought we created an infestation in our town! They were flying around everywhere! You will need: clear cups (we used lots and lots of paint cups! ), pipettes, water, food coloring and a big bin to empty the cups into. In advance, place many clear cups in a row with water and food coloring...make many different colors of water. Give each child their own cup with water in it (about 1/4 cup full) and a pipette. Tell them they are color scientists! They are going to drop different colors into their cups and see what colors they can create! They love this! Eventually their water turns muddy. Let them empty into the big bin and start over if time allows. EXTENSION: We gave the children child sized goggles to wear to be scientists for fun! Follow up the reading of The Tiny Seed by planting with the children! Provide small cups, soil, seeds and water for them to plant seeds. Provide lima beans, paper towels, spray water bottles and ziplock baggies. The children place a few beans in a paper towel, fold the paper towel, spray it with water until it is completely wet, place in baggie and hang on a window (using tape) that gets a lot of sunlight. They should sprout in about a week. Which famous author contacted Eric Carle to collaborate with him on his new book because of Mr. Carle's red lobster? Thier collaboration resulting in the famous book, Brown Bear, Brown Bear, What Do You See? Writing Activity Ideas for Your Eric Carle Preschool Theme! One of the Circle Time activities was to write a cooperative story together. Help the children to illustrate the story and print their names on it here! After reading some of the stories from All in a Day , have your children write and illustrate something about their day. Encourage them to draw a picture and then print the words or names they can such as: Mom, Dad, dog, me, and their name! Or Me and whoever is important in their life! Read the story Mister Seahorse to the children. It is a story of fish fathers caring for thier soon-to-be children! Provide watercolor paints, markers, colored pencils or crayons and stencils and stickers for them to illustrate their own story of them! I found the following in my perusing through Amazon! Click on either of the pictures below to read more! 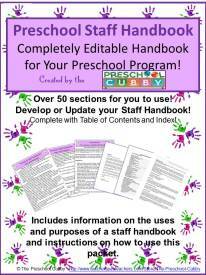 Miscellaneous Activities for Your Eric Carle Preschool Theme! If you live in Massachusetts, a trip to the Eric Carle Museum might be in your future and the perfect compliment to your Eric Carle Preschool Theme!! Or, check out all of the information on the Museum's website! There are a couple of books that you might really enjoy about Eric Carle! Click the pictures below to read about each one!